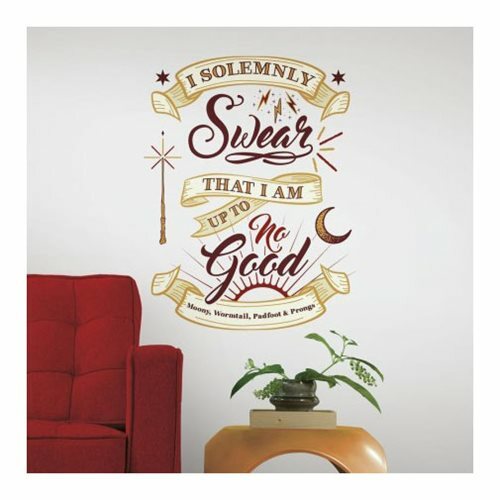 Featuring spellbinding details and fun typography in gold and red, the Harry Potter Marauder's Map Quote Peel and Stick Giant Wall Decals wil infuse your space with magic! Simply peel and stick wall decals to any smooth, flat surface in an instant. Harry Potter wall stickers are removable, repositionable, and reusable without damaging walls, just in case you get into a little trouble. Decals go up in a minute so you can go back to your shenanigans. Measures 36 1/2-inches x 17 1/4-inches.